LORAIN COUNTY, Ohio — John Arch loves hanging with Gavin. They met five years ago through Big Brothers Big Sisters and now they're inseparable. “He likes to fish, likes to bicycle ride-we go to museums, do things like that,” said Arch. But Arch has quickly learned his responsibilities go far beyond just hanging out with his 17-year-old mentee. “The more we talk about it I think the more people are going to be able to feel empowered to intervene if they have to,” he said. Arch is talking about suicide prevention training and although he hasn't had any reason to take it, he and about a dozen other mentors from Big Brothers Big Sisters Lorain County were anxious to learn. The training is coming from the people at the Lorain County Board of Mental Health. “You never know when someone around you is going to be struggling and it’s better to be prepared,” said Clare Rosser from the Lorain County Board of Mental Health. 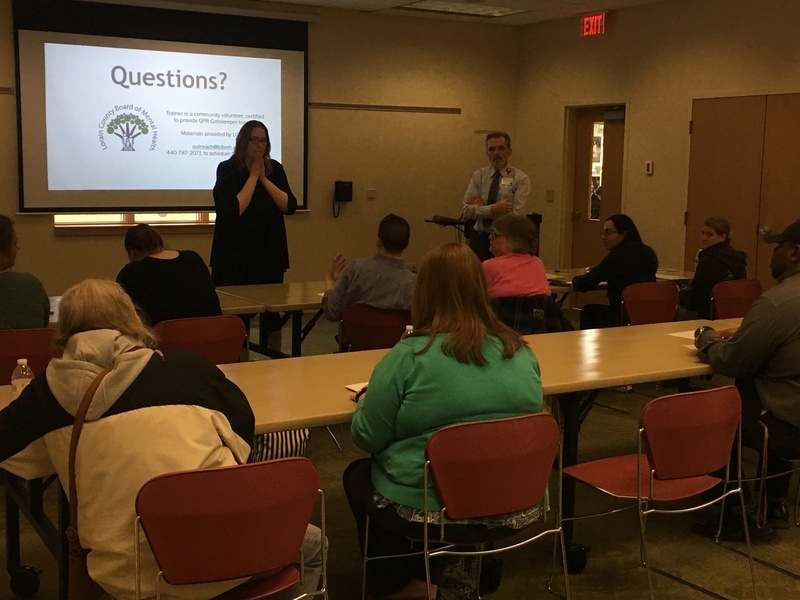 “Really it’s just about being able to ask someone with confidence how they're doing, and be able to connect them to the right resources if they are struggling,” said Rosser.